The Y has embarked on a major campaign to improve its facilities. 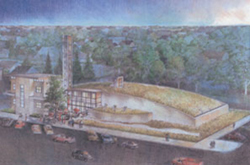 This grant, payable over 4 years, will partly fund improvements at the Elmwood Branch. A health and wellness centre is being developed within existing municipal recreational facilities in Morris. The Prendergast Centre is a multi-purpose building which serves day cares, seniors groups and drop-ins. A new roof will improve the facility. The Foundation has traditionally helped agencies that are helping others at Christmas. Improvements are being made to the facility that houses the Army’s Multicultural Family Centre in St. Vital. A national conference dealing with conflict resolution is being held in Winnipeg. A variety of supports to families in this remote mining town are offered by the Centre. New flooring will brighten the facility. Adults with intellectual challenges are served by Hope Centre. It will provide a communication device for non-verbal clients. Intellectually handicapped adults are the clients of these agencies. Capital projects were funded in both cases. Handivans help to maintain the independence of the mobility disadvantaged. New vehicles were acquired with the help of these grants. A new umbrella agency will serve all food banks in Manitoba. This grant helped with the organizational expenses. Payable over 2 years, this award will help Siloam provide shelter for the homeless. A new cargo van will help Flavie-Laurent serve the poor of, primarily, St. Boniface. 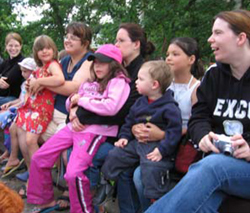 Research on the integration of children with developmental challenges in rural daycares is being conducted by ACL – Manitoba. A new building will consolidate SEED’s activities which include community development, empowerment of families and skills building. It works in Winnipeg’s North End. Augustine operates a drop-in program for street people known as the Oak Table. It will acquire a new fridge and dishwasher. Women who have experienced childhood or adolescent abuse receive counselling and guidance at The Laurel Centre. A new facility has been purchased and is being renovated. 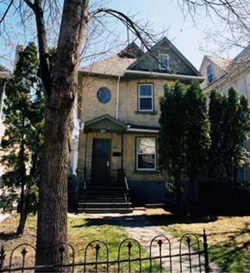 The WHS seeks to provide affordable, quality rental accommodation to low income families. The insulation in some of its units is being upgraded. Community halls are the focus of rural life. Austin is building a new facility to international energy efficiency standards. Marymound helps young people regain control of their lives. Capital renovations have been undertaken at the agency’s main campus. New office equipment has been purchased. Take Pride seeks to encourage a clean, attractive city. The Society serves women who have been in conflict with the law. A new heating and ventilation system has been acquired. The Winnipeg Foundation has established a fund to honour Matthew Frost who left a legacy of determination and fair play. This grant helped several rural Manitoba community foundations attend the bi-annual conference of the CFC. A community complex is the heart of activity in any rural town. Gladstone is builiding an outstanding, LEED standard complex. This grant is payable over 4 years. A multi-purpose facility, primarily for Native families, is operated by the Christian Reformed Church. Capital repairs have been supported. The people of Brandon and area are demonstrating their support for military familes based at CFB Shilo with signage and banners. The project was assisted with this award. The OARC provides devices to individuals with communication difficulties. This grant helped to purchase such equipment. Disabled sailors use a facility at the Fort Whyte Centre to learn and enjoy sailing. Infrastructure improvements at the site were funded.